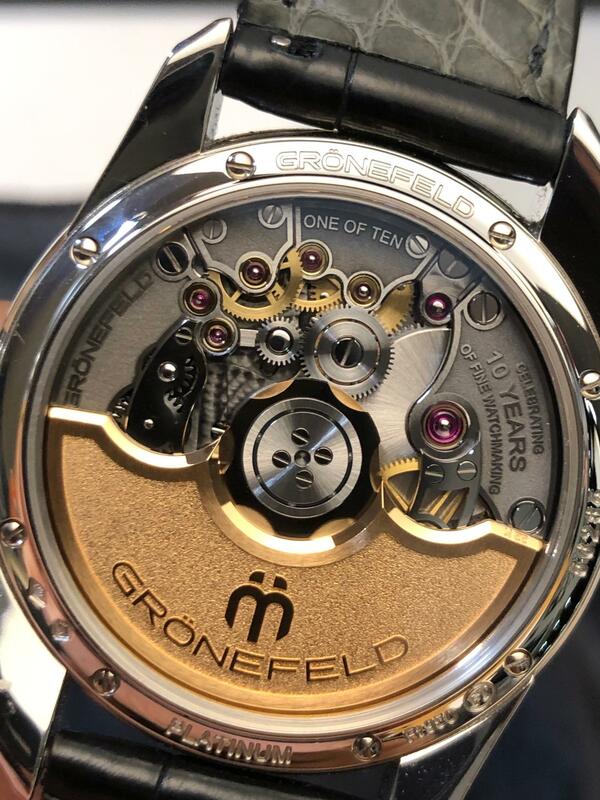 Live from Baselworld 2019: Jacob & Co.
Grönefeld introduces a new tourbillon for this year. 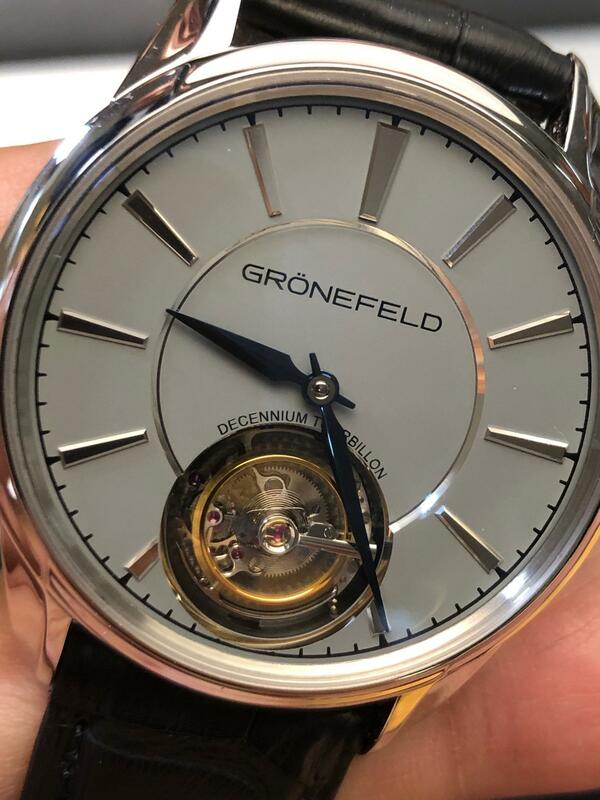 New caliber for the Grönefeld 10th Anniversary – Decennium. Automatic flying 1 Minute tourbillon in a SS cage. Plat case 39.5mm x 10.5mm height. Slate grey dial in solid silver. LE 10pcs numbered 1 out of 10. Price €145,000 before taxes.